You’ve spent a long day Dublin’s fair city, perhaps on a long journey around the city’s museums and tourist spots, or an equally long and tiring walk around the halls of a convention centre. You’re in need of some good food to refuel your nerdy adventures. Well, we’ve got you covered! The contributors of the Dublin2019 blog have submitted their suggestions for the best places to rest your tired feet and fill your grumbling stomach. Chips! 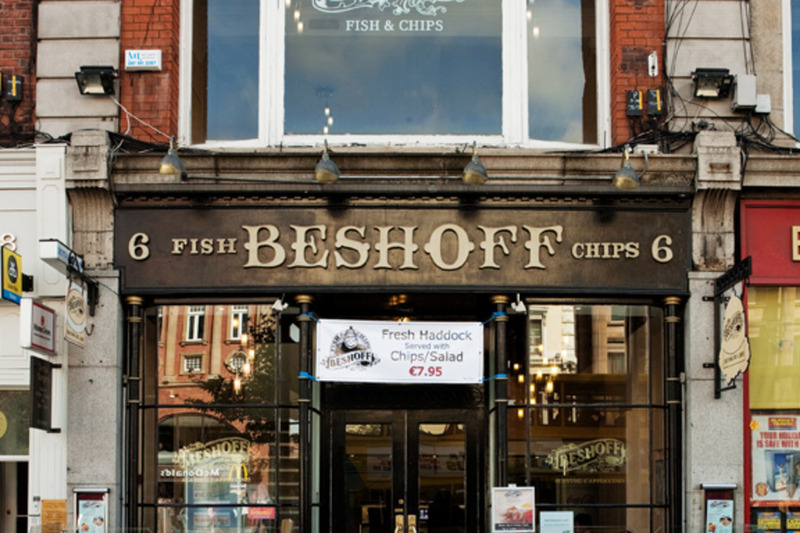 There are claims that the Irish Civil War was actually over whether Beshoff or Leo Burdock’s make the best chips, but that’s obviously not true because the answer is Marco’s. Fresh cod with chips (and trust me, chippers are generous with their sides of chips here) costs somewhere between €5 and €7, depending on what chipper you decide to ally yourself with! The Silk Road Cafe also offers food courses and workshops. The Silk Road Cafe in The Chester Beatty Library has some of the best, most affordable food in Dublin, conveniently located one of our best museums. Accents Coffee & Tea Lounge (which we recommended in our post about places to hand out and play tabletop games) – Tea, coffee, and Wi-Fi. What more do you need? KC Peaches – high quality food at low prices. Operates on a per-plate basis, so channel your Tetris skills and pile it high. Breakfast will cost you about a fiver, and salads and sandwiches on their lunch menu range from €5 to €7. Salamancas – tapas! Good food, reasonable prices, and tends to have early bird/lunch menus at even better prices. Tapas start from €3 up to about €12 for seafood tapas. If you’ve been to Dublin before, what’s your favourite place to eat? 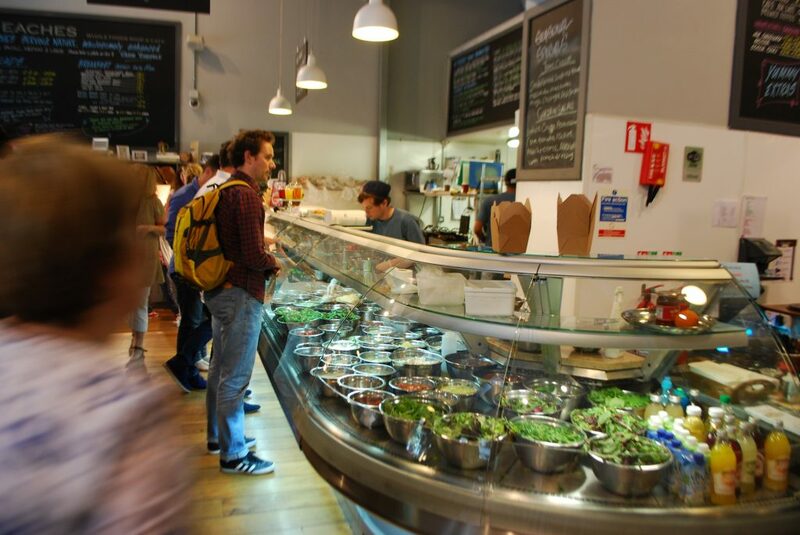 If you’re a Dubliner yourself, got any tips on finding the best value and best quality food? Let us know! Below you’ll see our handy Nerdy Dublin map, which features the venues mentioned in this blog post (the blue “Hangouts” pins). If we win the Dublin 2019 Bid for a Worldcon in Ireland, we’d love for you to visit some of the places on our map. You can find ALL of our Nerdy Dublin entries on it!